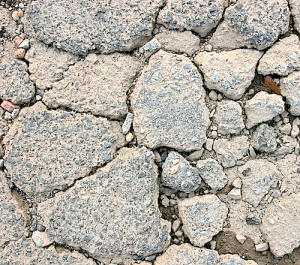 When a city or a state runs out of money, it takes longer for potholes to be fixed in the roadway. It takes even longer for sidewalks to be repaired, despite their upheaval due to short-sighted tree planting decades ago. But far behind on the priorities, are the service alleys. Behind the houses and the apartment buildings of Los Angeles, service alleys are slowly but surely turning back into the dust that lay there before humans arrived here. 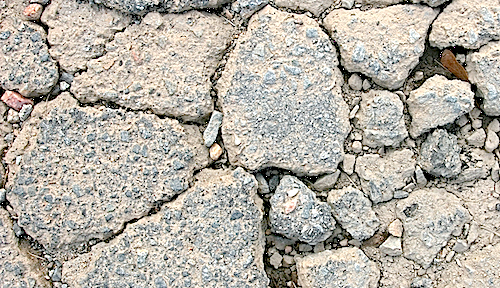 There is no money to repair them, so every time a car drives over the remaining pieces of asphalt, the once smooth blacktop becomes smaller and smaller fragments, rubbing together to form finer and finer gravel, and finally dust. On a windy day, the average alley can shed a hundred pounds in weight, and that dust goes somewhere else. There is enough gravel, that was formerly asphalt, in the storm drains to pave a small town. Assuming the city and state budgets never recover, we can also assume that our service alleys will one day become country dirt roads, dotted in mud puddles of various depths on a rainy day, and making their way slowly but surely into the Pacific ocean, as if this great flood plain never had a Los Angeles built on top of it. PreviousPrevious post: What is in that dust? NextNext post: Why choose a kick scooter? Well its a good thing we all drive trucks and SUV’s then isn’t it.. ?